Napa Valley, California. Hand harvesting of red grapes that will be made into wine. 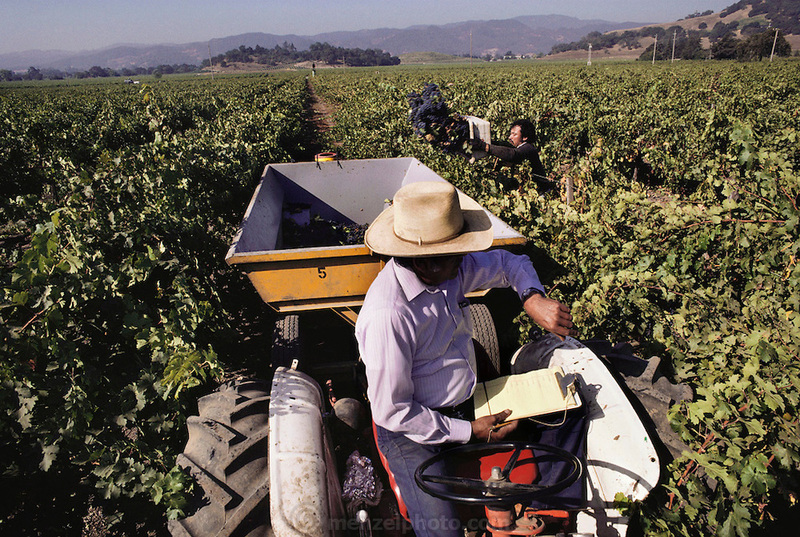 The field boss watches over the pickers and keeps track of how many bins of grapes each worker picks, which is the basis of how much each worker is paid.